Editor’s Note: Today will be the first guest blog in STS history! Both Meridith and I had guest bloggers on our individual blogs, and we love the additional insights added voices give to our topics of discussion. Those who follow us on Instagram or Tumblr know that I have started a vegetable garden this year, and I have been having a blast. I’m constantly amazed at how I, a person who presumably knows quite a bit about plants, keep learning new things through this process. 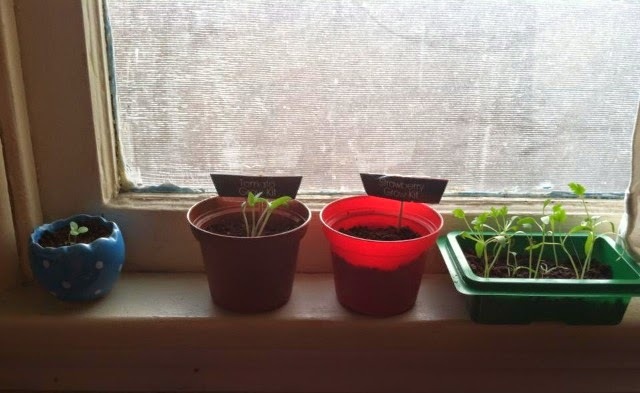 I was discussing this with my friend Christal recently, and we got to talking about how she had started a container garden with her 2-year-old son. Adorable and educational? I had to know more, so I asked her to write a post about the experience of gardening with her son, and what she thinks he has gotten out of the activity. Here is what she shared! This kid is totally a STS kindred spirit! They say everything starts with an idea. Gardening with my son started like this, but the funny thing was the idea wasn’t mine. It all started with a simple request from his father. It was a normal Saturday, we had just come from our son’s swim lesson and we were doing our weekly shopping trip to Target. Our first stop is always the dollar bin, usually for a small treat for the baby. This time, his dad saw a cilantro growing-kit and asked if it would be OK to keep it at my place and grow cilantro with our son, like he did with his Mom. Of course! 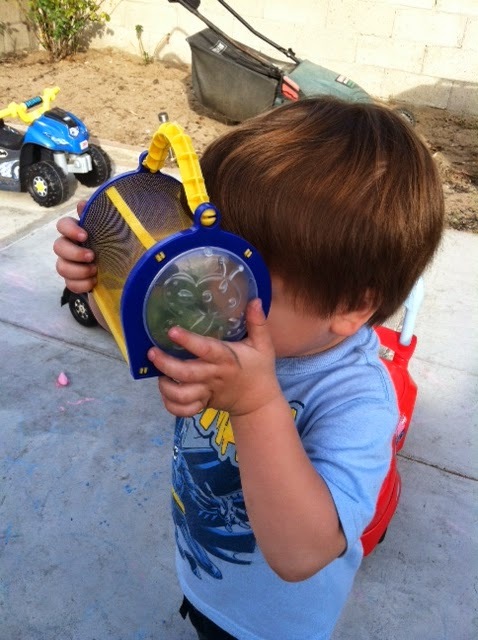 Our little bug, as we call him, loves being outdoors and playing in the dirt, examining plants and insects. Why not try this? Bug loved it so much our one, little cilantro plant quickly turned into a small window sill garden containing cilantro, a tomato, some strawberry plants, and a daisy. It became a daily ritual to water and check on all our little plants. Bug was the main caretaker, making sure he reminded Mom, Dad, or grandma (whomever was home) that he needed to water the plants. As they got bigger, we decided it was time to transplant them outside. In the past, before I had my son, this usually meant death for all my plants. Out of sight out of mind. Not this time! My baby bug reminds me that we have to go water the plants (even if they don’t need it!). He has his own watering can and gardening gloves (I love The Dollar Tree for cheap gardening tools my two-year-old can use). What started out as a simple project with his Dad has turned into so much more. He is constantly asking for new things to add to our garden. Decorations, plants, rocks, you name it. When he is out with his Dad or grandma, he tells them Mommy needs more flowers for the house. 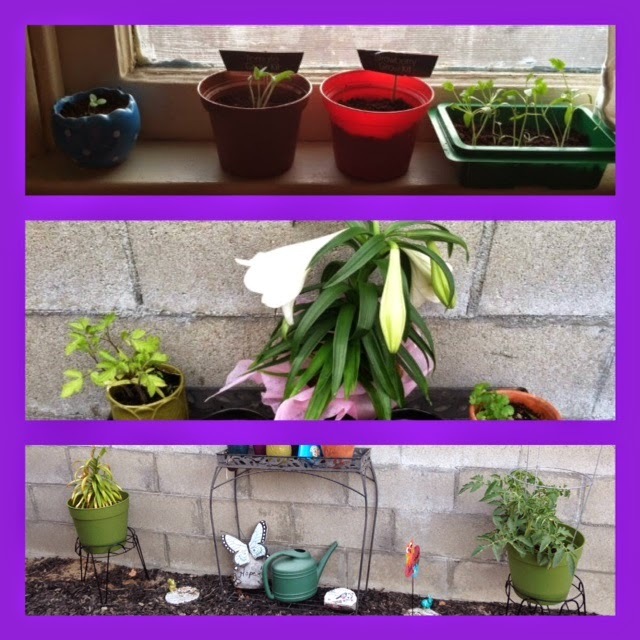 Our newest additions have been an Easter lily his Dad got for us and a chili plant that my Mom gave him from her own garden. And it’s not only a love for plants that my son has gotten out of this, but also a sense of responsibility by taking care of something. He sees the results of feeding and watering his little plants, discovers new “friends” that come and inhabit our garden, and enjoys the perks of spending time outside rather than being glued to the TV all day. I love watching my son’s interest in nature grow. He now catches caterpillars, and we feed and keep them, so he can watch them transform into moths and butterflies. Recently he found his first grasshopper and spent the better part of the afternoon chasing it around the backyard with his Dad. These are memories that I cherish. They are ones that are filled with love and wonder, but they teach him as well. His love for all things outdoors has grown to us purchasing a season pass to our local zoo, as well as day trips to our local parks to see the squirrels and ducks. He constantly asks when we can go see the animals and fishes. Our family activities are centered around this growing interest our son has in plants and animals. Literally, can’t let them out of your sight! He is the happiest kid I know (and though that sounds biased, it is also true!) and I know a lot of it comes from the quality time he spends with me and his Dad doing things that are engaging and memorable. All the things he learns from our little garden also come up in our other day to day activities. When we are grocery shopping he loves to help identify and pick out the fruit and vegetables. He asks questions like “What is this?” when he sees something he doesn’t know or “What does it taste like?” or “What color is it?”. When I am preparing our meals, he brings his step stool in to stand next to me and ask me “What doing Mama?” and “You putting ‘matos in the pasta?”. He is becoming aware of how we can use what we grow or buy, and it gets his curiosity going. 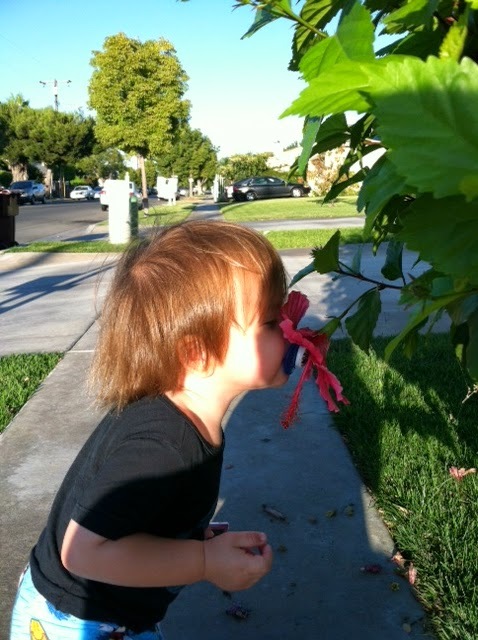 He asks to smell or taste various fruits and veggies that we buy or grow. Every day I am amazed at my son’s curiosity and how much he has learned and remembers. It’s been almost a month since he chased that grasshopper, but he asked his Dad yesterday in the car if he remembered how bouncy that grasshopper they found was. If he sees a plant, animal or insect in one of his children’s shows, he has to come grab me and tell me about it and associates it with where else we use or see them. My son’s vocabulary has exploded since we incorporated all these family outing and projects. 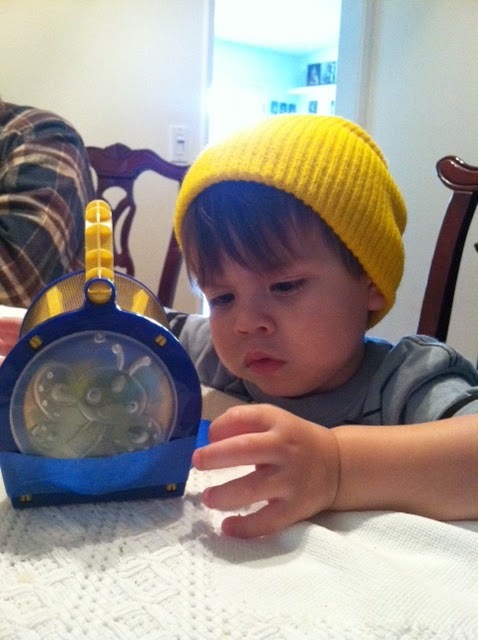 He can sit and tell you about things from tomatoes to narwhals. And it all started with a $1 cilantro grow-kit and a request to share a memory with my son. Closing Thoughts from Rachel and Meridith: We were super inspired by Christal’s insight into how simple outdoor activities really activate curiosity in children. This really illustrates the point that you don’t need to take a child to a far off National Park (though that is rad!) to instill a love and respect for the natural world. We were also really interested in the developmental changes Christal noticed after the family gardening projects began. Responsibility, thoughtful questioning, increased vocabulary, all coming to her at the very low price of a little time and effort. Rachel was also struck by the similarities between the things she has learned from gardening and what two-year-olds can learn. She feels like she learns new horticulture terms every week now, and she is certainly asking new questions all the time (Why is this eggplant so sad? Is this the right type of soil for chili plants?)! These sorts of activities are the basis of scientific thinking! We are curious about the experiences of readers. Have you gardened yourself, and what have you learned? Have you ever gardened with a child? Do you think gardening teaches skills that are relevant to future scientific education? About Christal: Christal works in the entertainment industry both as a performer and backstage technician, and she is also a single mom. Her work can be physically intense and injury prevention is essential to having a long term career. Her love for fitness started in high school when she took weight-lifting classes. There she learned about the anatomy of the body and what exercises were best to strengthen each area. Her passion for fitness continued in college where she minored in dance and tool as many nutrition courses as she could, including Healthy American Cooking. She is currently working two gigs, one as the shift manager at a southern California amusement park and another as a fitness coach through Team Beachbody. Looking for a fitness coach? Check out Christal’s website, Facebook, or on Instagram. Christal’s goal is to encourage others, especially her fellow moms, to be as physically fit and healthy as they can and feel good about themselves! 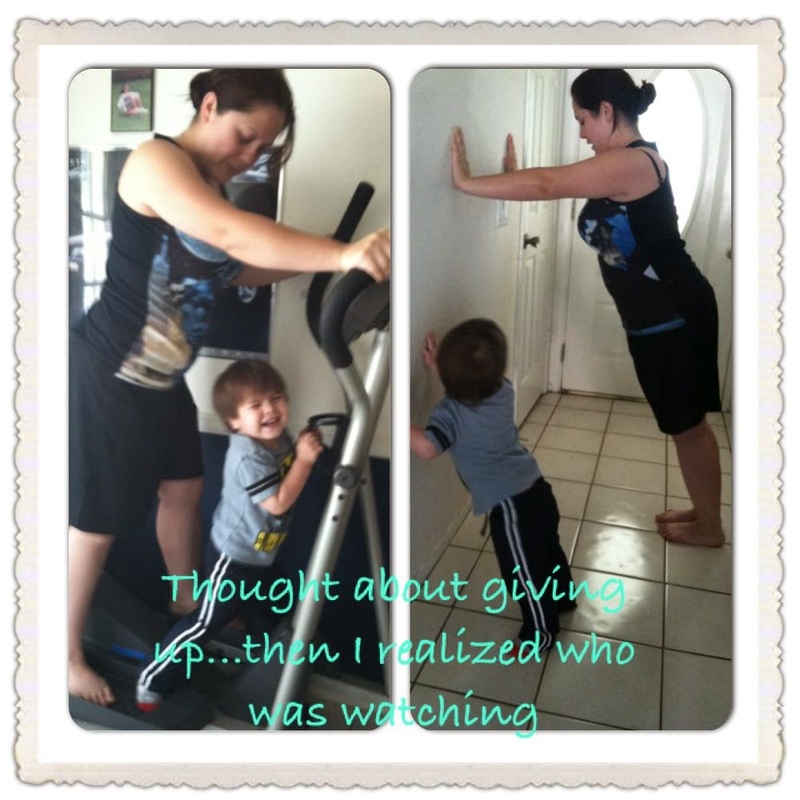 She is also passionate about the health and fitness of the next generation (specifically her son! ).